Phew, how manic is life for me at the moment?! I joined this challenge because finding time to sew in July and August is very limited due to my work. And it's succeeded in pushing me to not just start a project at my busiest time but also finish it too. I successfully finished my July Project just before we said goodbye to the month but it has however taken a further 2 weeks to get some photos! My original plan was to make BUTTERICK 5747 with this fabric, but I had a last minute change of plan and swapped the Pattern to SIMPLICITY 1418. You can read all about this project on My Blog where you will also find the link to my Sewing Pattern Review. Such a pretty summer floral dress! 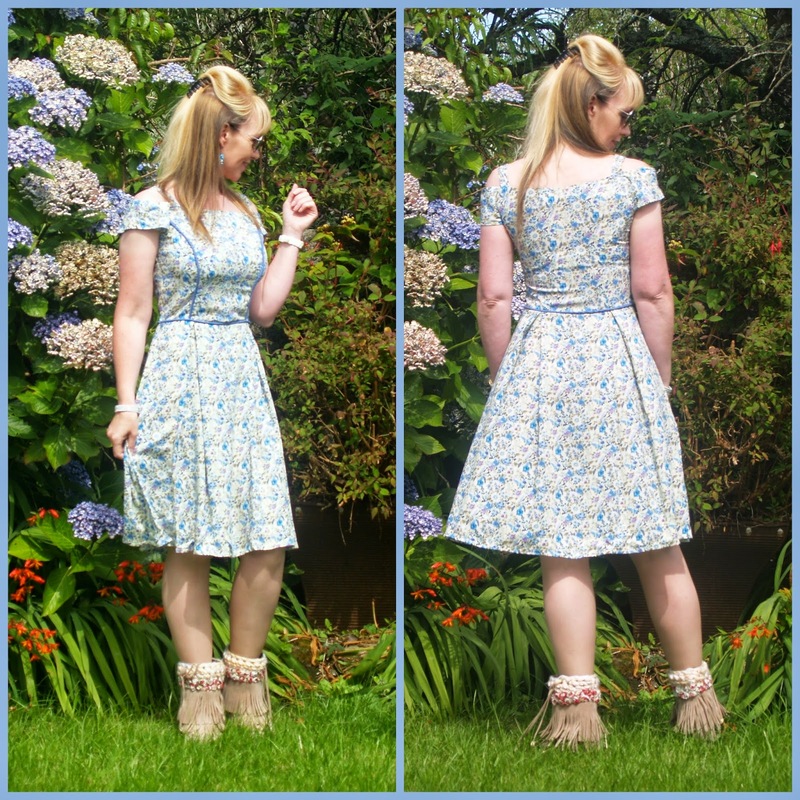 A New Dress; a new blog, Yay! August project finished in the nick of time! August MAGAM Challenge Project Finished! I need help and advice! Coco's August Plan - A Playsuit! Coco's Fourth of July dress - complete! Ultra suede and satin dress!